← A deal too good to be true? 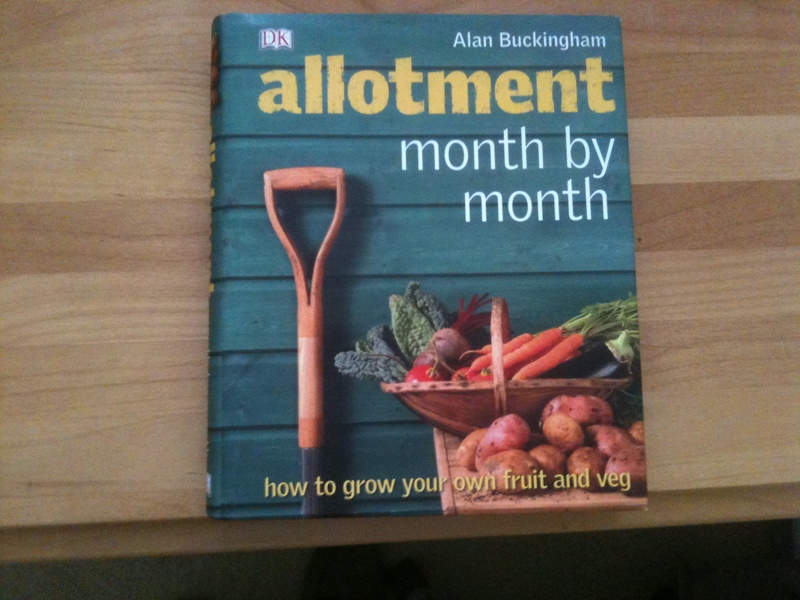 I have a great book called “allotment month by month” by Alan Buckingham which tells you what to sow, what to grow and jobs to do each month of the year. As yesterday was 1 April 2012 I dutifully pulled the book down from the shelf and set about seeing what needed to be done. Apparently April and May are know as the “hungry gap” months when there is a shortage of fresh vegetables and salad. Over-wintered crops have been eaten and this season’s new crops are nowhere near ready. However, April is a good month for sowing seeds indoors, in cold frames, under cloches or, if you’re super organised and have already warmed your soil, directly outdoors. Harvest the first asparagus of the year along with spring cabbages, cauliflowers, sprouting brocolli and any remaining leeks and kale. Plant second early and maincrop potatoes and onion sets. Earth up first early potatoes. Prepare seed beds by weeding thoroughly and raking over the soil. Prune cherries and plums once leaf buds have opened. I don’t have anything to harvest, Mr Mac is in charge of potatoes and onions and our cherry and plum trees were only planted last year so are too young to prune. So all that leaves for me to do is prepare the seed beds which I started yesterday. However, this time last week it was 23 degrees and I was wearing shorts. I have just popped down to the bottom of the garden to check the thermometer and it is 5 degrees! What’s more, snow is forecast for this evening and tomorrow morning. So the way I look at it, there are still another 28 days in April so there is no rush. I think I’ll have a cup of tea and sit in front of the fire for a while! This entry was posted in Hints and tips and tagged april harvest, onion sets, plum trees, seed beds, sowing seeds indoors. Bookmark the permalink.